We set out on the country roads of the D16 direction Locminé but cut off at the D115 direction Colpo first. Then took the D157 to Locminé and there took the D1 to Bignan and onwards to the Domaine de Kerguéhennec on the D123 a wonderful castle; then link with the D778 to Billio, then ,Guéhenno and its wonderful calvary, coming down on the D126 to Plumelec where we had lunch. Continue on the D778 to Saint Jean Brévelay. Also, closed was the Church of Notre Dame at Billio. As well as that of Church of Notre Dame at Colpo. The Church of Saint Maurice at Plumelec. As well as the Church of St Jean de Beverly in Saint Jean Brévelay. 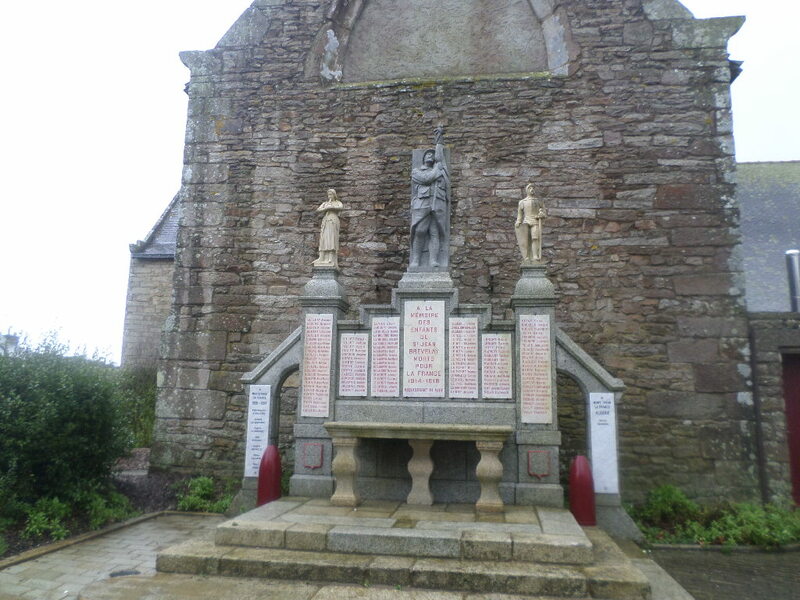 Back in Guéhenno we visited the Chapelle St Michel and the windmill or Moulin du Vent. As well as many worthy memorials to the Fallen in world wars. 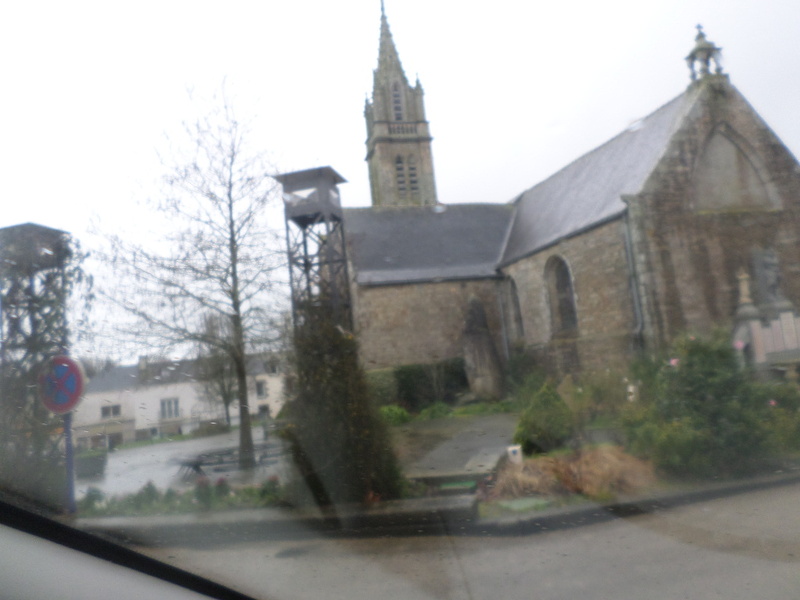 We were able to find open these: Church of St Pierre et St John Baptiste at Guéhenno ,wonderful with its Calvary next to it one of the 7 wonders of Monumental Calvaries in Brittany! Chapelle Notre Dame du Plasker at Locminé as well as the Church of St Sauveur , right on the old remains a new modern Church was built in same Locminé. The créperie restaurant at Plumelec is a country setting full of little figurines or korrigans as well as portraits of them. The food is typical Breton and with many prices from local travel guides like the Le Routard, and name by the Brittany tourist house as part of the designation Créperies Gourmandes, such as here in French http://www.tourismebretagne.com/sejourner/restaurants-gastronomie/les-restaurants/les-korrigans. In all the rain was on and off, and finally off but still cloudy humid and cool around 10C or 50F. Mild winter indeed/ Enjoy the ride and happy travels.